HB3158, The Down Syndrome Information and Aware Act has been filed in the Illinois House of Representatives. The bill is co-sponsored by State Representatives Robyn Gabel (18th District) and Michelle Mussman (56th District). The Illinois Down Syndrome Advocacy Coalition, a coalition of Down syndrome and advocacy organizations across the state, is being formed to support the legislation. 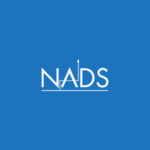 NADS is a member of the coalition. What is The Down Syndrome Information and Awareness Act? 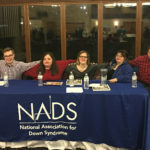 Up-to-date and evidence based written information about Down syndrome reviewed by medical experts and the national Down syndrome organizations. Current contact information for local support groups serving Illinois. What kind of information did you initially receive when you were informed of your child’s diagnosis of Down syndrome? For many new or expectant parents, receiving the news of a diagnosis of Down syndrome is one the most emotional moments of their lives. At the time of the diagnosis, and in the immediate aftermath, access to current information and local support are critical for both families touched by Down syndrome and the medical professionals who serve them. Today, when patients receive a prenatal or postnatal diagnosis of Down syndrome, the information they receive, if any, is determined by the individual health provider. Unfortunately, health care providers across the state are consistently distributing inaccurate and outdated information to patients who receive a Down syndrome diagnosis. These materials may be accurate and up-to-date, but more commonly they are outdated, not reviewed by medical experts, and not endorsed by national Down syndrome organizations. At worst, they can be archaic and offensive. The lack of consistency and accuracy in the information distributed by local health care providers creates unnecessary stress for families and often conveys an inaccurate picture of people with Down syndrome in society today. The need for current information is growing. As a result of advances in medical technology, it is now recommended that all pregnant women be offered the option of non-invasive prenatal screening tests for Down syndrome. 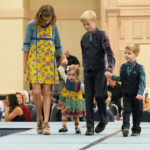 The Illinois Down Syndrome Information and Awareness Act is modeled after legislation supported by the National Down Syndrome Society (NDSS), as well as the federal Prenatally and Postnatally diagnosed Conditions Awareness Act (S. 1810), co-sponsored by Senators Edward Kennedy (D-MA) and Sam Brownback (R-KS) in enacted in 2008. Down syndrome “information legislation” has currently been passed in 10 states. The bill is one of the “Top 10” legislative initiatives of the Arc of Illinois for 2015. We are assembling written testimony to be presented to the Illinois House Health and Human Services Committee when they hold a hearing this month. Tell us your story and why you believe accurate information about Down syndrome is important to new or expectant parents. One page or less. Please e-mail your story to ASAP to: sconnors@nads.com.